Fill Only - Electronic fill device that detects low water conditions and automatically replaces water to a pre-set level. Levolor addresses the concern of lost water with sophisticated electronics that monitor water levels and keep the beautiful aquascape flowing. Our unique electronics compensate for waves, and our exclusive lock-out feature will not overfill the pool. 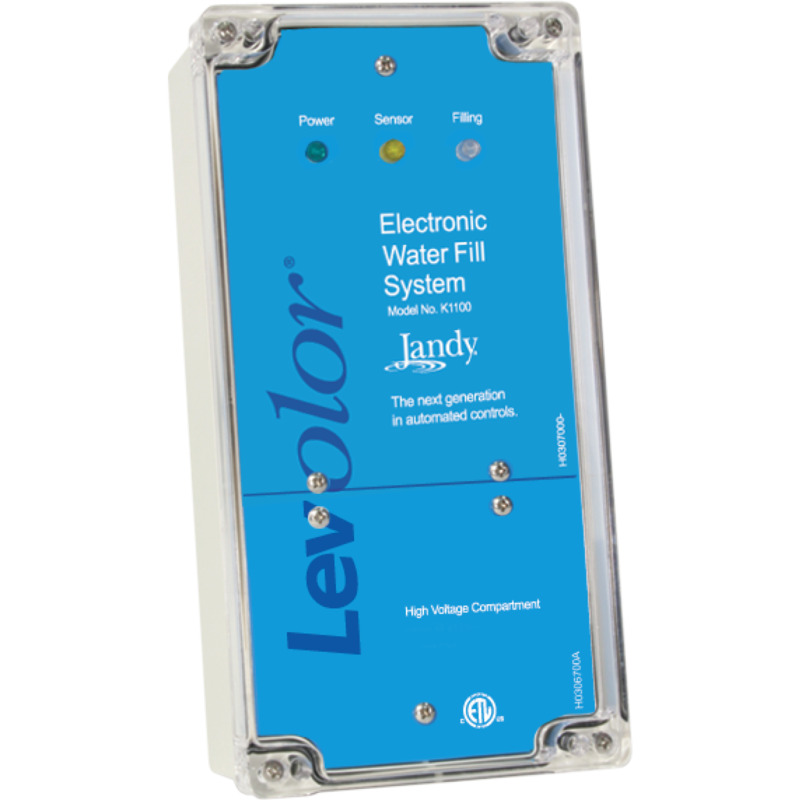 With no moving parts to break or rust, Levelor ensures a reliable flow of water. Electronic fill device that detects low water conditions and automatically replaces water to a pre-set level. Can be used in any situation where a consistent water level is desired. Ideal for new or existing pool and spa systems.